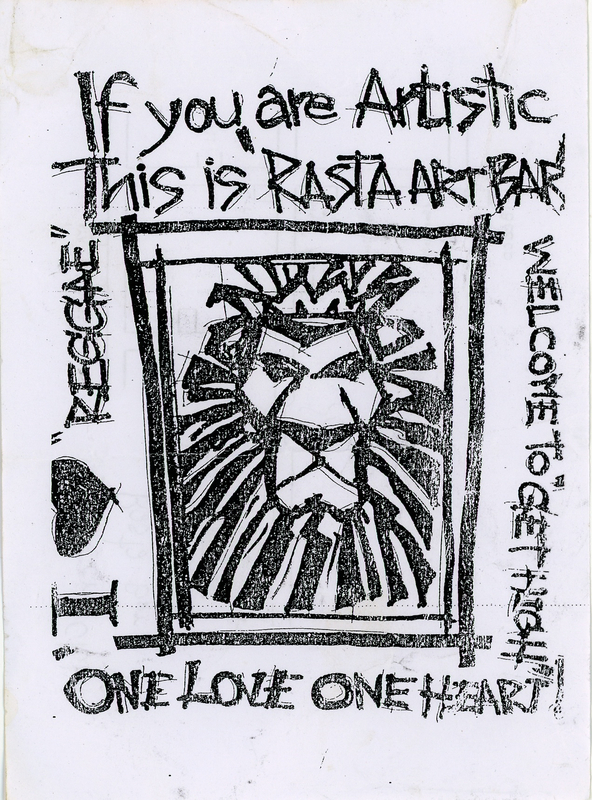 This small flyer seeks to attract travelers to an “art bar” where one is “Welcome to ‘Get High’.” The text wraps around an image of a cartoon drawing of a lion from the American Walt Disney Animated Classics “Lion King” musical. The “I <3 Reggae,” “One Love One Heart,” and “Get High” are used to create an artistic Rastafari vibe invoking the power of the Jamaican reggae singer, Bob Marley. The appropriation of these visual and textual elements seeks to attract Western tourists. The opportunity to get high is another attraction; while marijuana is illegal in Thailand, relaxed law enforcement and availability in Pai is a main attraction. It is not uncommon for bars there to use the Rasta theme in order to attract patrons. This form of advertising speaks to the flow of information in Pai: word travels hand-to-hand and mouth-to-mouth. Instead of a quick notification on Facebook, which many travelers have intermittent access to, physical paper still reigns supreme. While some people may find the bar listed on Facebook, many visiting the area learn about parties, venues, and events via small flyers like this one.